Atlus announced that it will publish the co-op multiplayer action game Attack on Titan: Humanity in Chains for the Nintendo 3DS in North America and Europe next month. Developed by Spike Chunsoft and based on the popular anime and manga series Attack on Titan, Humanity in Chains pits players against gigantic humanoid creatures bent on wiping out the human race. Gameplay involves traversing massive gameplay areas and teaming up with your partners in order to take down the Titans before they can destroy your home base. Humanity in Chains features a co-op multiplayer mode for up to four players via local play or online via a Wi-Fi connection. Early adopters of the recently released "New" Nintendo 3DS hardware will see additional gameplay options and features, including C-stick compatibility. 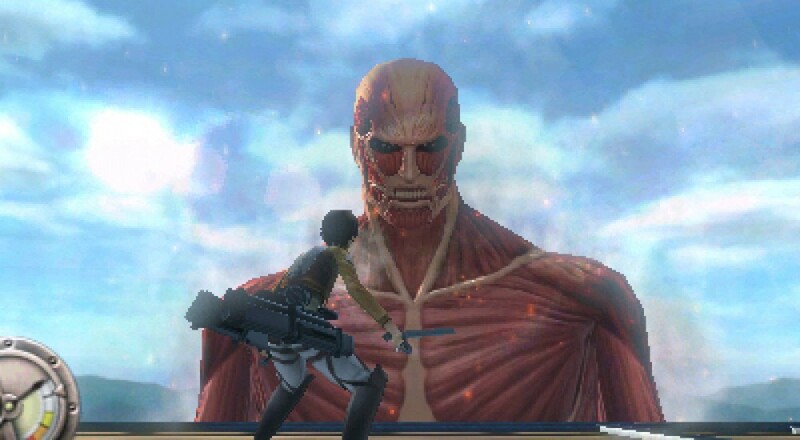 Attack on Titan: Humanity in Chains launches digitally next month as an eShop exclusive.